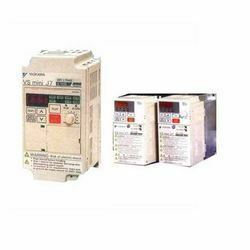 Supplier of Yaskawa AC Drives. Our product range also comprises of AC & DC Drives, Servo Drives and Programmable Logic Controllers. This is designed and developed by making use of modern machinery and cutting edge technology. This AC Drives is recognized amongst our clients for its best performance and reliability. Offered products are also checked on several quality parameters before delivering to our customers. The manufacturing process is conducted complying with industry norms as well as using the ultra-modern techniques and machinery. Offered range of panel are extensively used for feeder purpose, isolation purpose and distance protection in various industries and sectors. Looking for AC Drives ?